I received an email from an irate reader who claimed that the bathroom wars were all about “idiotic stuff.” Abortion, marriage, and other such issues are all the “frivolous nonsense” by which political parties rile up their bases and control the narrative. With the bathroom wars, a cruel new phase in the battle now begins. The main target is no longer the external restraints of institutions, but the internal restraints of logic, identity, and sexuality. People can no longer be limited by what they are – they must now be free to be that which they imagine themselves to be. 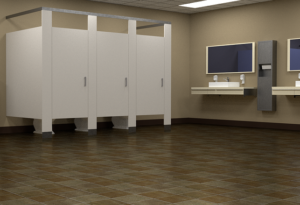 This entry was posted in Featured and tagged bathroom wars, culture wars, Natural Law, transgender by John Horvat II. Bookmark the permalink.